This weird, elegant creature can morph from brown to green to gray, melding inconspicuously into its surroundings. The long stem of a neck rotates the triangular head for a 300-degree scan. 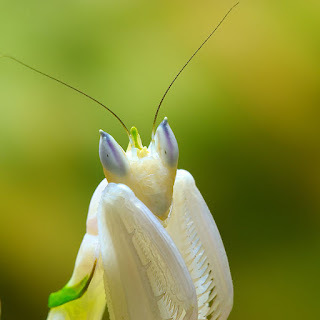 Without doubt, they are one of the most efficient predators in the insect world. 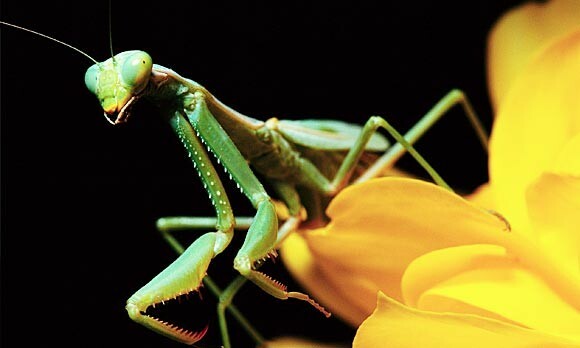 Praying mantis get their name from the way they hold their heavily spined, raptorial front legs in front of their bodies, as if in prayer. They will either sit motionless, waiting for something to come along, or slowly stalk an unsuspecting victim. When an insect or spider meal is in range, they whip out their front legs with lightning speed, seizing their prey in a vice-like grip, and start eating it alive.